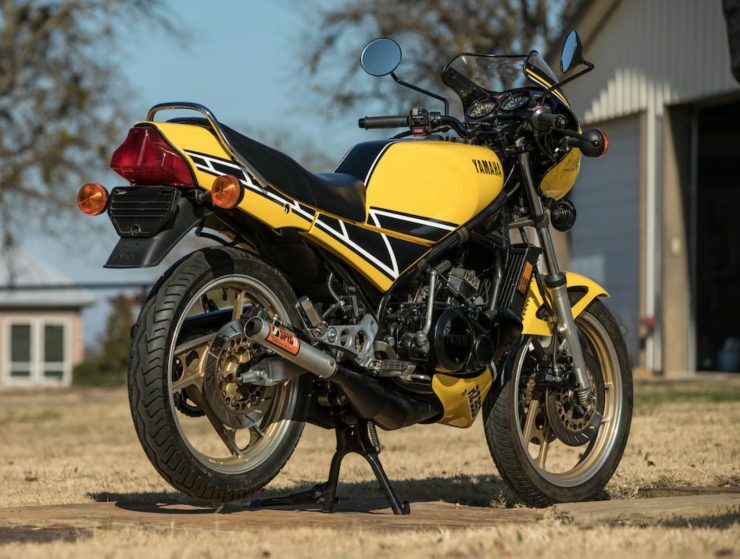 The Yamaha RZ350 Kenny Roberts Edition is a holy grail for fans of two-strokes, it was the last street-legal two-stroke ever offered for sale in the USA due to tightening emissions regulations, and the RZ350 remains so popular today that entire races are dedicated to them called “RZ Cups”. 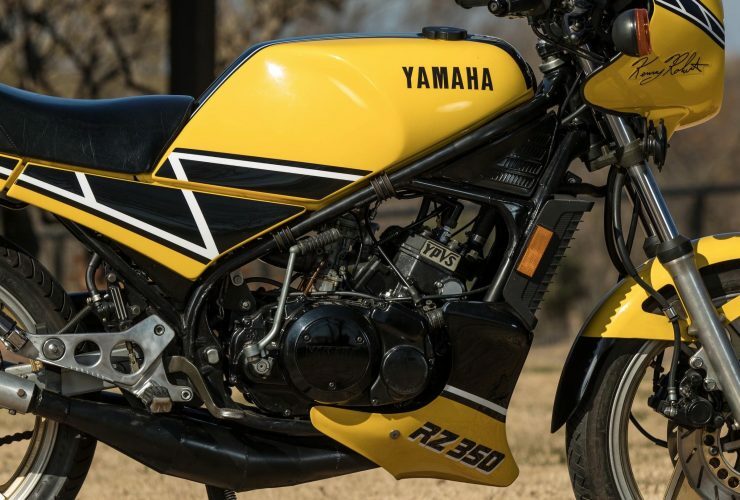 In order to squeak the RZ350 past the unforgiving exhaust gas sniffers at the DOT, the engineers at Yamaha incorporated catalytic converters into the exhaust system – a global first for a motorcycle. 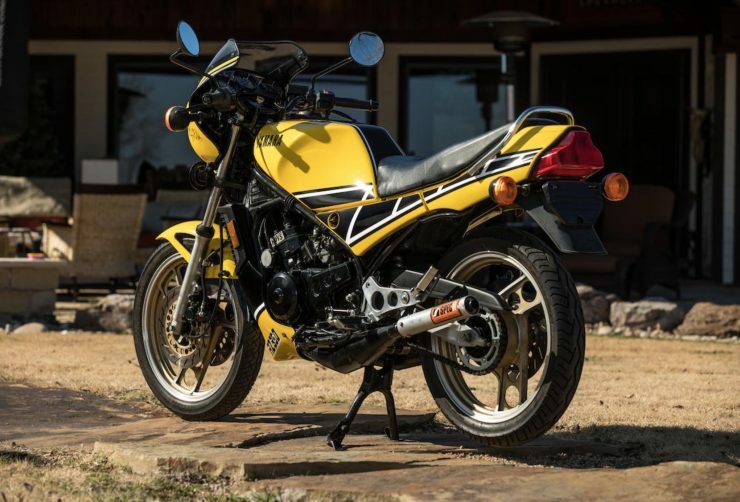 Today almost all motorcycles on sale in developed countries include catalytic converters, and there’s an entire parts industry dedicated to removing them in order to gain a little horsepower. 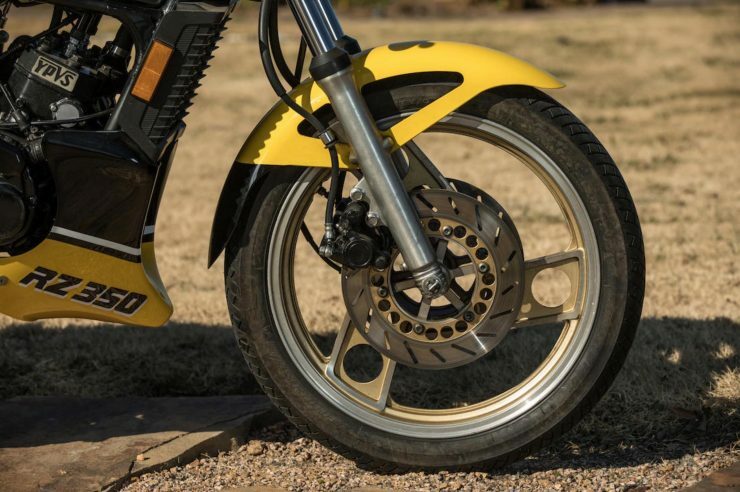 Two-strokes often have a razor thin power band, some developed reputations for throwing people off the back when the power suddenly kicked in and it contributed to the two-stroke motorcycle’s reputation as a widow-maker. 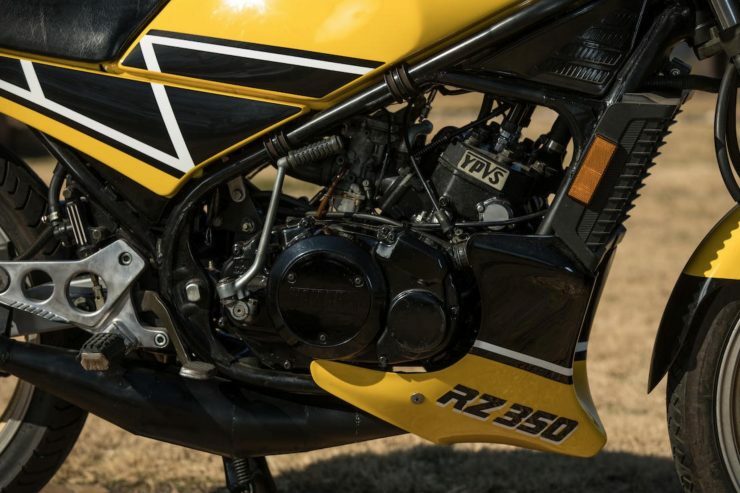 In order to somewhat tame this issue Yamaha developed the “YPVS” or Yamaha Power Valve System, their own take on the two-stroke power valve system. 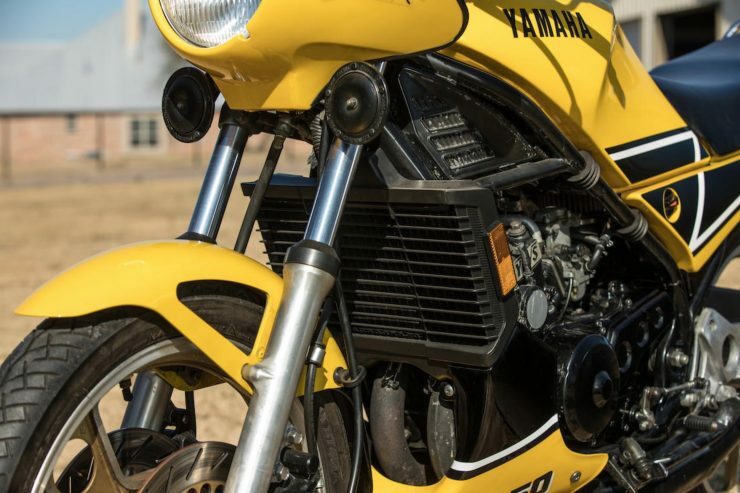 In short, the Yamaha Power Valve System is a system to vary exhaust port timing in order to provide more torque at lower RPMs without affecting higher RPM horsepower. 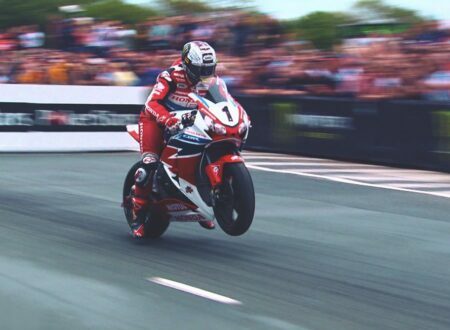 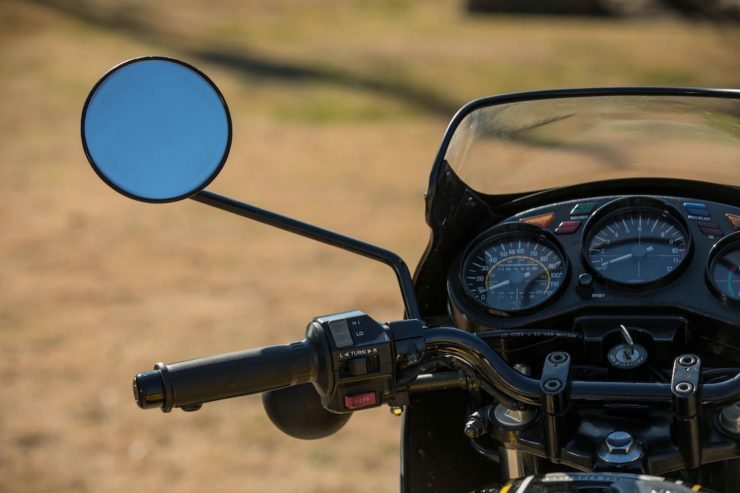 The Yamaha system works by varying the height of the port depending on how far open or closed the throttle is (it’s electronically controlled), and it had a significant and immediately noticeable affect on the power band. 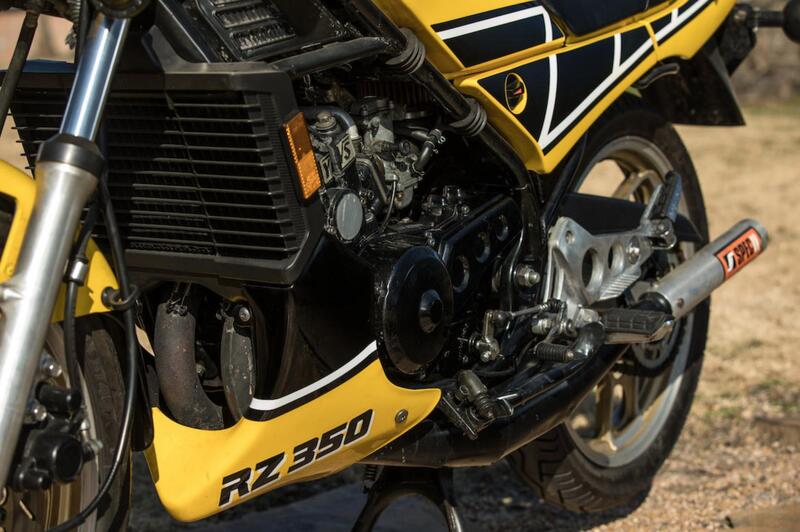 As with many Yamaha two-strokes the Yamaha RZ350 is powered by a liquid-cooled parallel twin, it has a 347cc capacity, and a 6-speed gearbox. 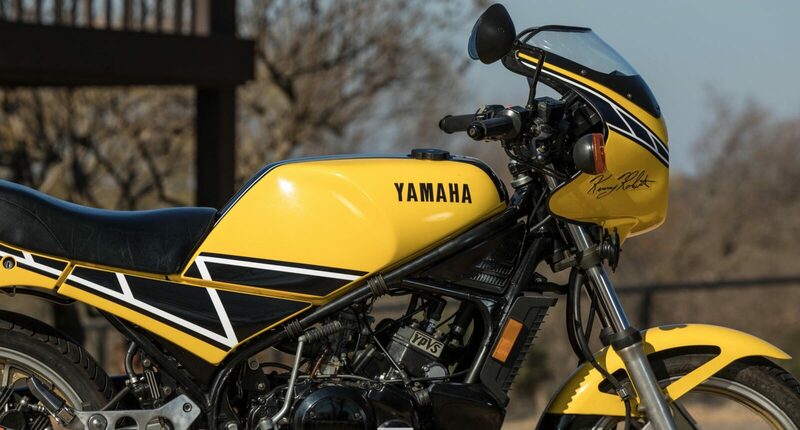 By the 1980s Japanese motorcycle engineers had made major strides forward in frame design – the spaghetti-frames of the ’70s were gone for the most part. 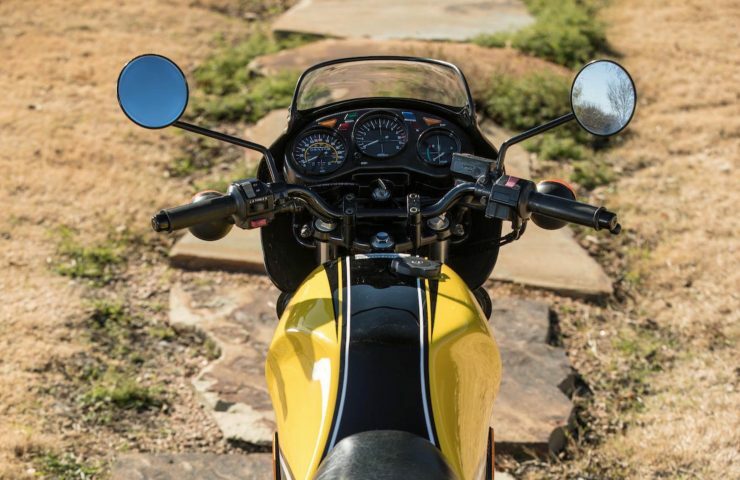 The RZ350 has a tubular steel perimeter frame that connects the steering head with the swingarm pivot point for optimal handling. 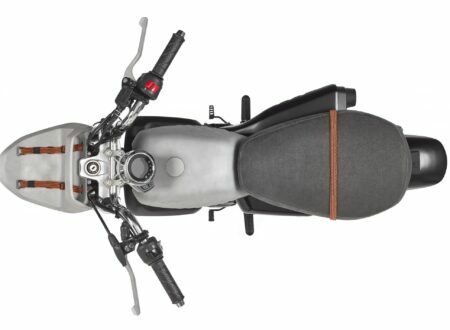 Suspension is provided by a monoshock in the rear and a pair of traditional forks up front. 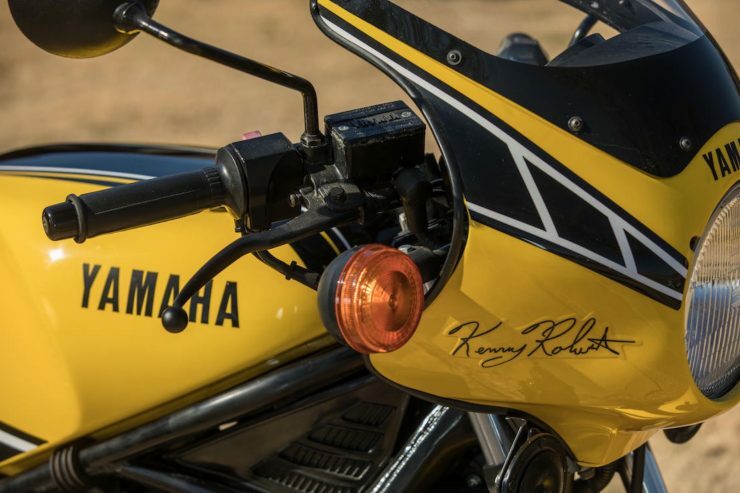 There are twin disc brakes on the front wheel with a single disc in the rear, there’s a small headlight fairing and an engine fairing a little lower down, the RZ350 has seating for two and as this is the special Kenny Roberts Edition, it has the iconic yellow/white/black Yamaha “Speed Block” livery much loved by, well, pretty much everybody. 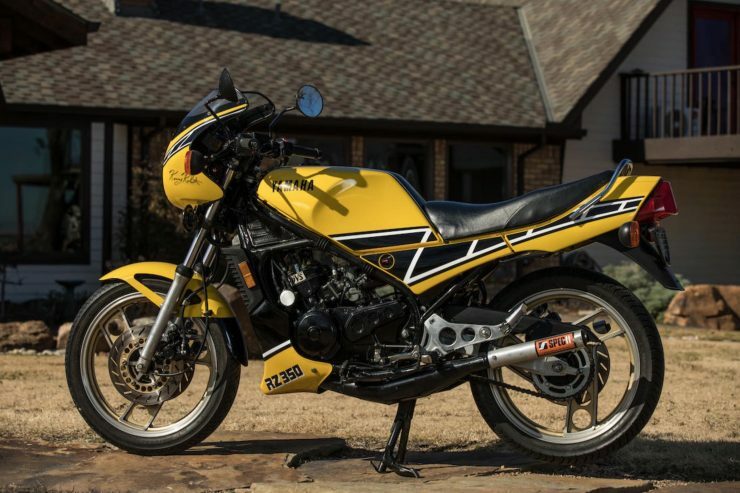 The bike you see here is a 1984 Yamaha RZ350 Kenny Roberts Edition, the most desirable of all the RX350s. 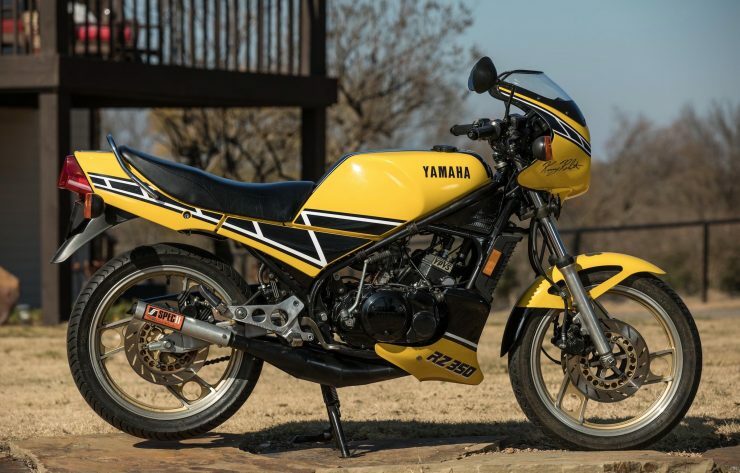 It was acquired by Marbles Motors who immediately undertook a comprehensive rebuild with a view to keeping the original paint and finish – but rebuilding all of the mechanical elements. 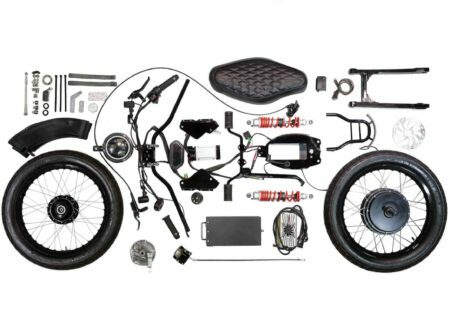 The engine was completely disassembled and rebuilt from the crank up, the electronics where carefully inspected and repaired/replaced where needed. 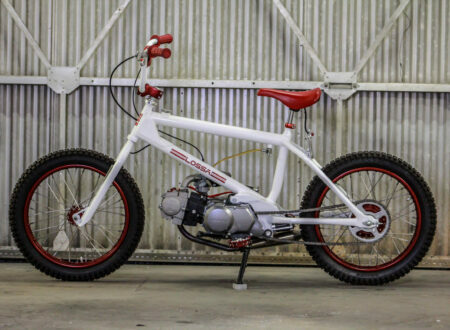 The brakes were overhauled, the carburettors were cleaned and fitted with new needles and jets, then tuned to the aftermarket Spec II expansion chambers – the original exhaust with their catalytic converters is still included with the bike however. When the RZ350 was tested in-period by Cycle World they wrote “It became an everyday occurrence to be swarmed by curious people whenever we parked the RZ. 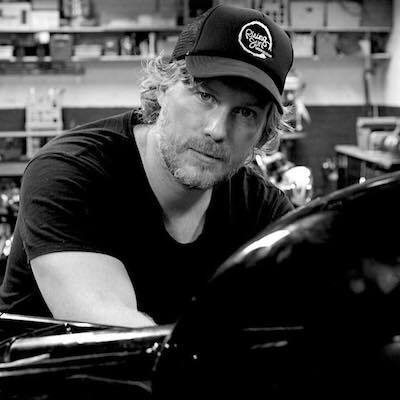 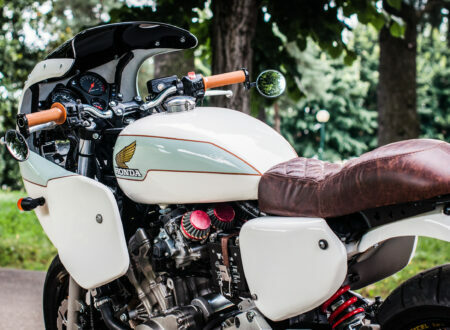 If good looks could kill, the RZ would be the atomic bomb of motorcycles.” High praise indeed. 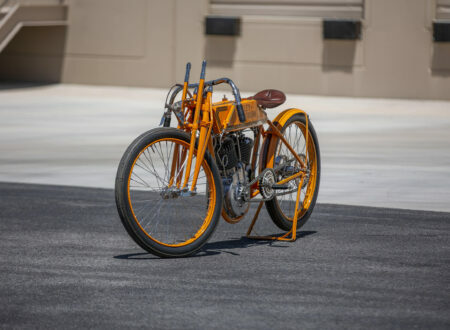 If you’d like to read more about this motorcycle or register to bid you can click here to visit the listing on Bonhams.